Hyundai Motor Company is about to make a renewed push into Europe, with the first of 22 new vehicles set to lead the charge. This is coming at a time when other automakers are withdrawing from the region, with many doing so because of the gains made there by Hyundai and Kia. Hyundai and Kia have been stealing market share in Europe for quite some time, even as the demand for new vehicles has declined. Companies like Fiat and Peugeot are feeling the pressure from the competitively priced vehicles that the Koreans are delivering to Europe. In just 5 short years, Hyundai and Kia have seen their combined market share double to the 6.2% they saw during the first part of 2013. This comes in the face of a slowing of demand for new vehicles in Europe, where even perennial favorites like Volkswagen are seeing their numbers begin to seriously diminish. All of this has led the South Koreans to believe they can grab an even larger market share in the region. They have taken a close look at how automakers like Fiat, Peugeot and GM’s Opel have shifted away from mass-market cars in favor of high-margin premium models, leaving a gap that Hyundai and Kia believe they can exploit. Allan Rushforth, Hyundai’s chief operating officer for Europe, firmly believes that they can grab a hold of Europe, starting with the release of the new i10 city car. This will be the first of 22 new models that will hit the market by 2017. Mr, Rushworth revealed that the goal is to sell 500,000 units by that 2017 date, as well as to grab a 5% market share by 2020. 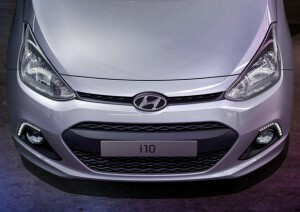 Last year saw Hyundai sell 432,240 units for a 3.5% share. Kia will use the upcoming Frankfurt Auto Show as a platform to show off three updated models and a concept SUV. Kia’s chief operational officer for Europe, Michael Cole, said that Kia didn’t feel the time was right to do this 5 years ago, but that recent changes in the European car market make now the perfect opportunity to renew their push into the region. He believes that a 3% share of the market and 400,000 plus unit sales is a realistic goal by 2017 at the latest. The last 5 years has seen Hyundai and Kia increase their efforts to increase brand awareness and move away from cheap and friendly to well-designed, quality vehicles that are still affordable.